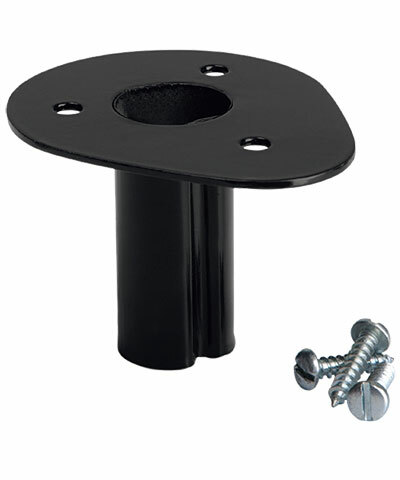 The Droll Yankees Bird House Mount attaches to the bottom of any wooden bird house or feeder and then fastens to any 0.875" inside diameter pole. Simply use the included wood screws to attach your bird house or feeder and slip the adapter stem into your Droll Yankees Garden Pole. This adapter makes maintaining your houses and feeders quick and convenient. Note: A portion of the proceeds from the sale of this product will be donated to the causes that support wild birds and their habitats.